month ahead as we enter into the final month in preparation for the ימים נוראים. beseeching ה׳ for forgiveness for the חטא העגל. לוחות. Again, a stronger reason to emphasize Torah learning during this month. days doing תשובה that they would normally spend learning. the Jewish people have 13 routes to achieve forgiveness, י״ג מדות הרחמים. success in a shorter time. 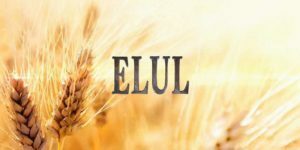 On behalf of our wonderful team at CyberSem, we wish you an enriching month of Elul. We have a roster of stimulating courses for women of all ages, planned for after the חגים. Check out our website for new course offerings and share with your family and friends.